ISS Fly-Over Of St Petersburg! After Thanksgiving dinner, we went to a movie. Before the movie, I shot a movie. The International Space Station was going to be passing overhead while we were killing time between eating and the movie. I shot this on my iPhone XS Max in 4K and edited it Shotcut, a free and open source video editor. The editing was just a little color correction, brightness and contrast. 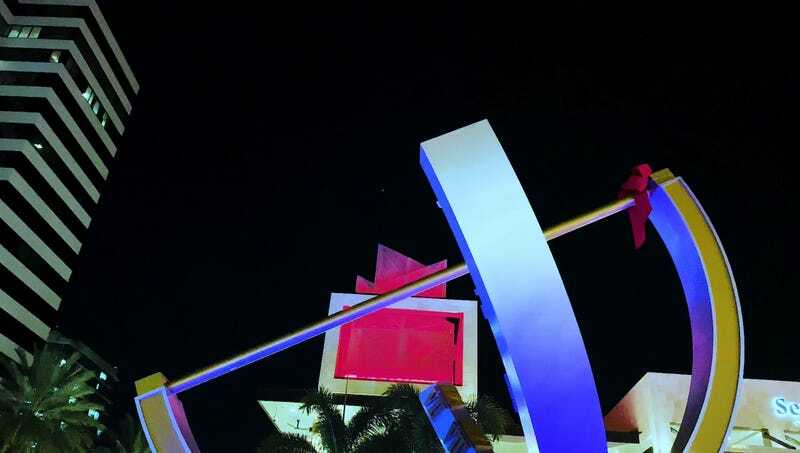 Even with the light pollution of downtown and the insane hypercolor LED Christmas hellscape that is the Sundial St Pete plaza, ISS was clearly visible (there were some hazy clouds, too). The video looks just about exactly how the scene looked to the naked eye. This would have made for a great long exposure photo, but as nerdy as my wife is, it would have been frowned upon to drag my gear out to shoot this before a movie on Thanksgiving. But I will photograph it at this spot next time it lines up as it’s a cool shot. So in the video, just follow the bright dot. That’s it, flying around the Earth at 17,150 mph about 250 miles up. Enjoy! And remember to look up every now and then!